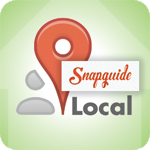 I stumbled on a pretty cool platform called SnapGuide for sharing How-To guides the other day. It's a fairly new site, and it's especially nice for mobile viewing -- although for now, they only have an iOS version. It looks like a great tool for small businesses owners and marketers to share tips in their area of expertise. The guides look great browsing via mobile. This could also be a nice tool for sales reps introducing decks on the fly. Here is a how-to guide I put together covering some of the important things you can do to boost your Google+ Local search rankings. Enjoy.